Boasting fine photography and exquisite plans, sections, and elevations, this book is handsome yet austere....Reading this book--or, rather, looking at it, for the images far outweigh the text--we know we are in the hands of a master. Adjaye gives prominence to expansive photographs [and] his writings still address formal issues that are of interest to architects. For many young architects, houses or domestic buildings are among the first projects they design. For David Adjaye, such early commissions were connected to a rising generation of creatives, with whom he shared a range of sensibilities. His artistry, clever use of space and inexpensive, unexpected materials resulted in many innovative and widely published houses, mainly built in London. After twenty years of practice and a raft of high-profile projects around the world – not least the National Museum of African American History and Culture in Washington, DC, which opened in the autumn of 2016 – houses represent a smaller portion of Adjaye’s work, but are more potent as a result. Selecting projects that are challenging for their sites, complexity or architectural possibility, Adjaye has both expanded and sharpened his domestic design, taking it in new directions. This monograph presents in vivid detail the nine finest and most recent examples, from Ghana to Brooklyn, from desolate farmlands to urban jungles. 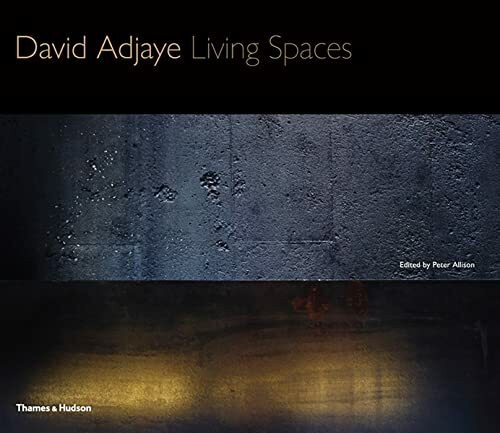 The results, presented through lucid texts alongside detailed and photographically rich visual documentation, testify to the importance of Adjaye’s growing inventiveness and provide powerful new design ideas for residential architecture.